Ingredients for the sauce (omit the water, cilantro and green onions) can be found here. In a large salad bowl, add the onion and squeeze the juice of one lime (or a half a lime depending on how juicy it is) over the onions. Let this marinate for five to ten minutes. Typically this is the amount of time needed to cut the vegetables. Add all the vegetables to the onions and lime juice. Very sparingly sprinkle some sea salt onto the vegetables and mix well. Add sauce and serve immediately. Optionally, if you are a meat lover, I find this salad goes well with a few slices of grilled beef. To a bowl, add the green onions and cilantro. Set aside. In a sauce pan, add the oil, garlic and ginger. 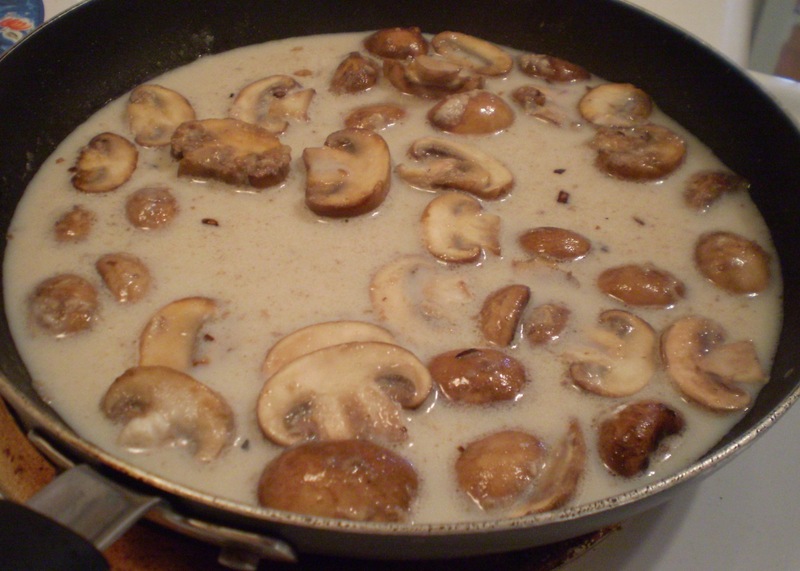 Once bubbling, turn down the heat and simmer until the garlic turns a light brown (about 2 to 3 minutes). Add sugar, soy sauce and a few dashes of fish and hot sauce. Once the sugar is dissolved, add a splash of water (about 1/4 cup) to thin out the sauce. Turn the heat on high to get the sauce to a very high temperature (ie. boiling). Pour sauce into bowl with green onions and cilantro. Mix well and enjoy immediately. Freshly made salad rolls with chicken, basil, carrots and cucumbers. 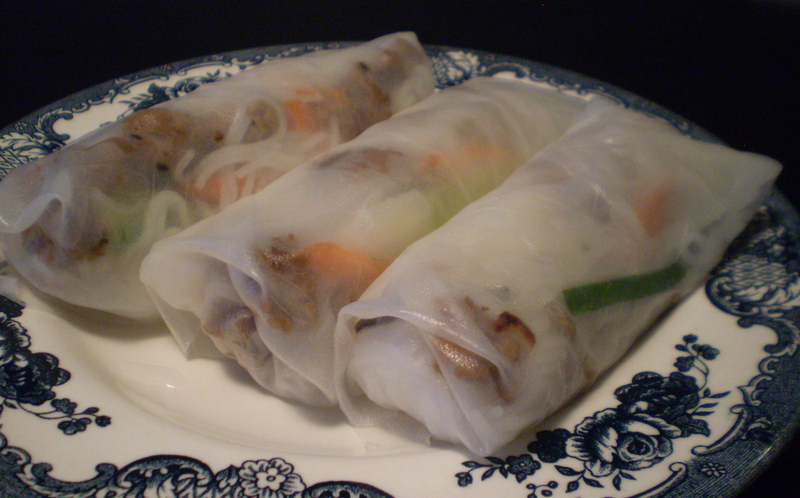 Salad rolls are traditionally served cool and hence ideal for summer time. They are also light, refreshing and healthy. *Instead of chicken, try grilled shrimp or thinly sliced bbq beef or pork. For a vegetarian style salad roll, visit Frugal Feeding. 1. 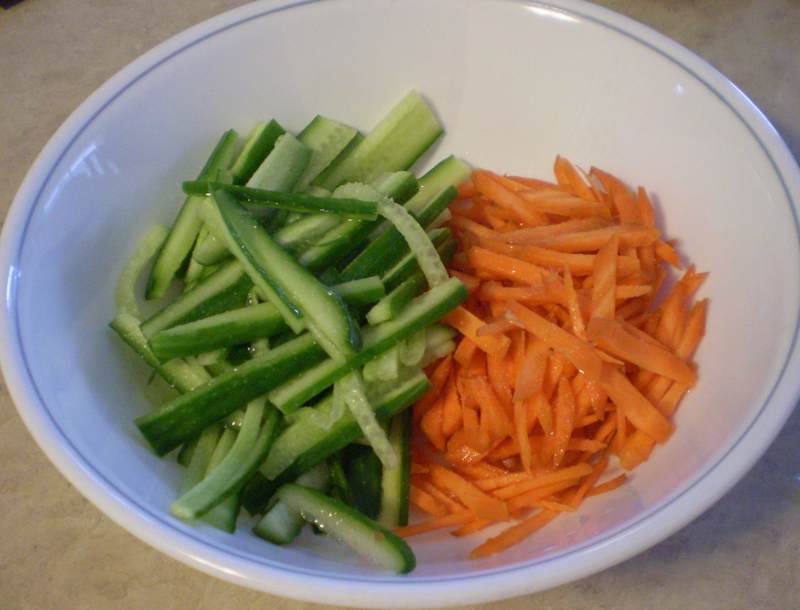 In a bowl, combine carrots, cucumber and lime juice. Add a sprinkle of sea salt. Allow mixture to marinate for 15 to 20 minutes. Cucumbers and carrots with lime juice and sea salt. 2. In a wok on high heat, add in oil, garlic and onions. Cook until onions are soft, then add in chicken. 3. Use a wooden spoon to break up the ground chicken as much as possible. If chicken appears dry, add a splash of water. 4. When the chicken is almost done, season with honey, ground pepper and soy. 6. Fill dish halfway with hot water. TIP: have a kettle of just boiled water ready on the side and once the water in the dish begins to cool, top up with more kettle water. 7. 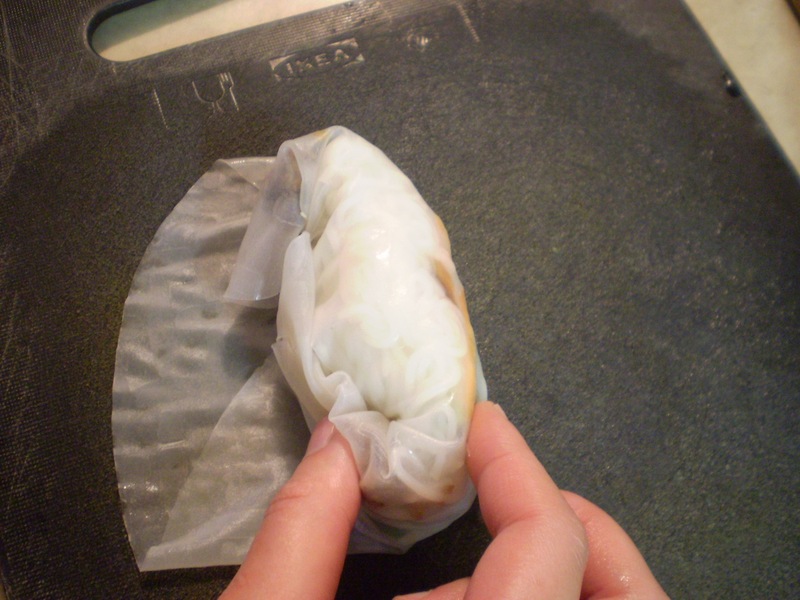 Gently place one rice paper sheet into water. 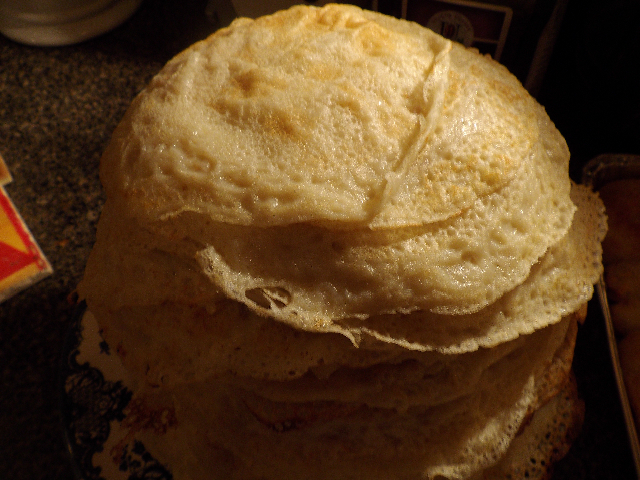 The rice paper will soften in a few seconds. 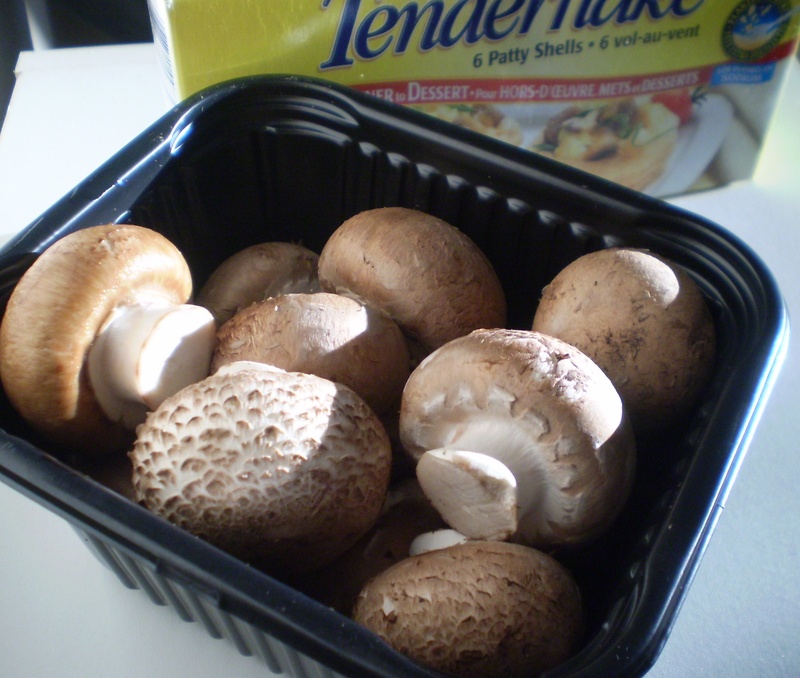 Once this is achieved, remove from the water and onto a plate or cutting board. 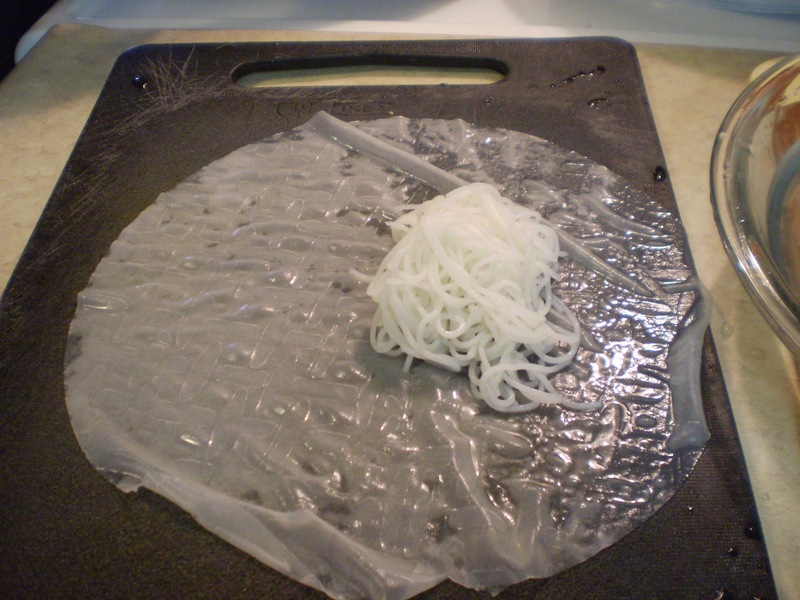 Rice paper with vermicelli noodles. Rice paper with vermicelli, chicken, basil, carrots and cucumbers. 8. Add a small handful of vermicelli noodles, a scoop of the ground chicken and a few of the marinated carrots and cucumber. Place the filling a little off center. 9. Tear a few pieces of basil leave and add to the filling. 10. 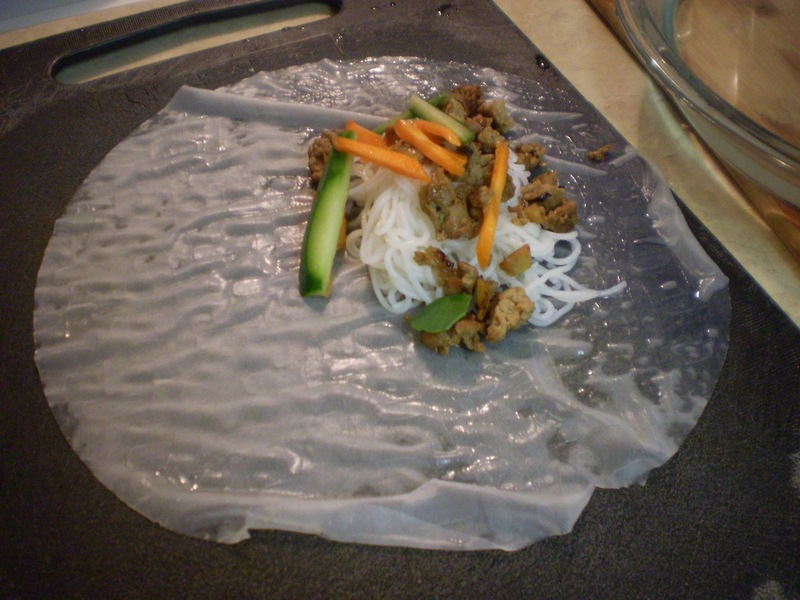 Begin by rolling the portion of the rice paper nearest the filling. 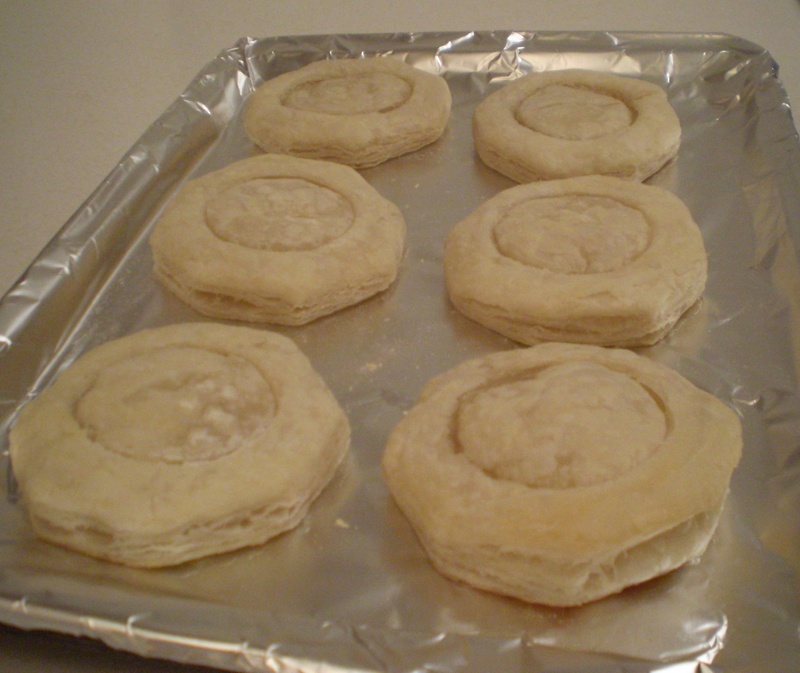 Roll about halfway and then fold the sides inward towards the center. Finish rolling. 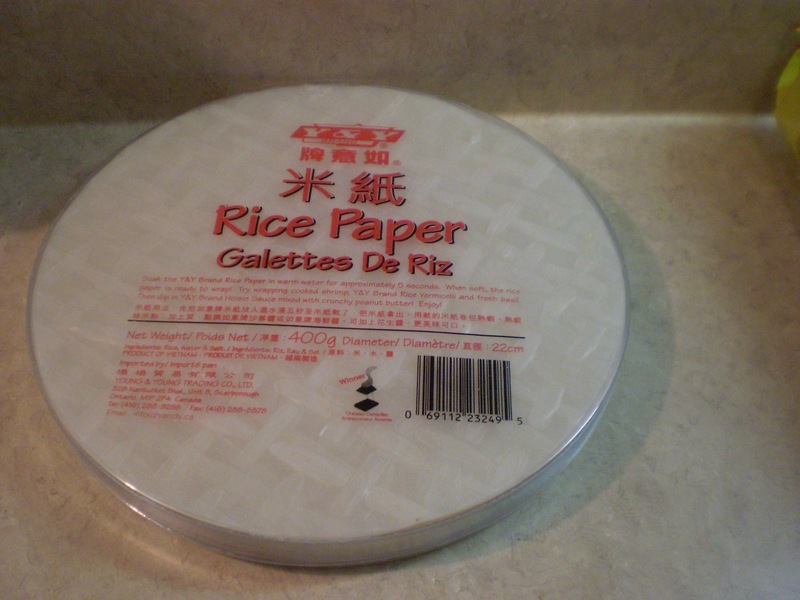 The rice paper is naturally sticky so it will seal itself. 11. The first salad roll is finished. Repeat steps 7 to 9 to make the remaining rolls. 12. Chill salad rolls in the fridge before serving. Store in an airtight contain so that the rice paper does not dry out. Assembling the salad rolls is very simple but a little time consuming. This task may be fun for kids. 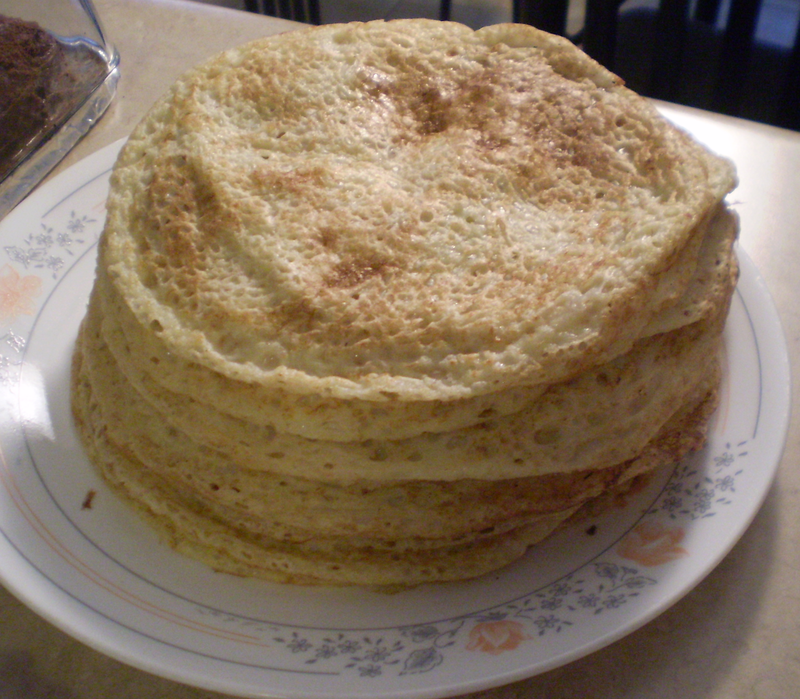 Palachinke are Serbian style crepes. They can be served plain or as a dessert wtih fruit or jam filling, a sprinking of brown sugar and cinnamon, toasted crushed walnuts, nutella, etc… or they can be made into savory crepes by filling with vegetables, cheese or even meat. Enjoy! The following recipe is from Lillian. 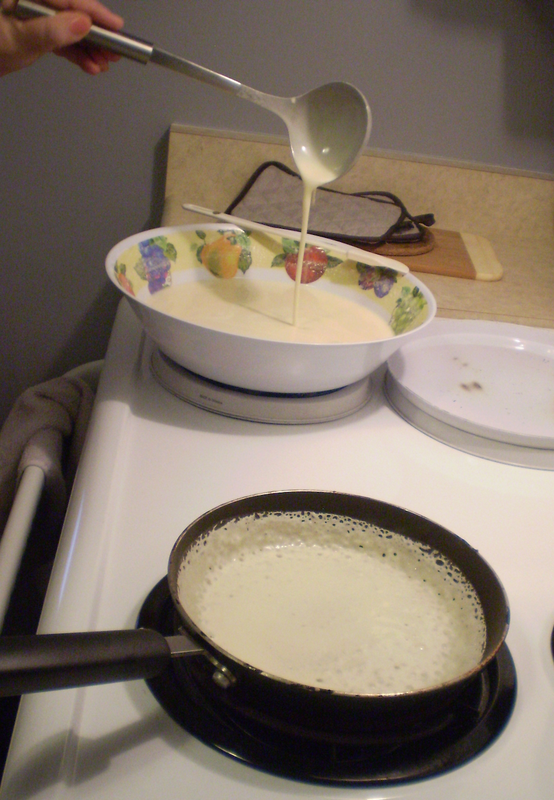 Batter cooking in a small pan. In the background, the consistency of the batter is evident. 1. In a large bowl, beat egg, add in salt, oil and sugar. 2. Add in lukewarm water to the desired level depending on how many palachinka you wish to make. 3. Using a wooden spoon, begin by gradually whisking in 2 tablespoons of flour, then add more flour until batter mixture has a smooth creamy consistency. As a test, the mixture should fall in a continuous flow from the spoon but not be too thin. 4. Allow the batter to rest for at least 30 minutes (or up to overnight) in the fridge. The consistency of the batter will become even smoother and creamier. 5. Heat a small non stick frying pan on medium heat. 6. Add 1/3 tsp canola oil. Spread oil around pan. 7. Pour enough batter to thinly coat the entire pan. Swirl the pan around in order to spread the batter. 8. Once the palachinke comes loose from the bottom of the pan, flip over and cook for another 20 seconds or so. 9. Dish palachinke onto a plate and repeat steps 6 to 9 until batter is used up. 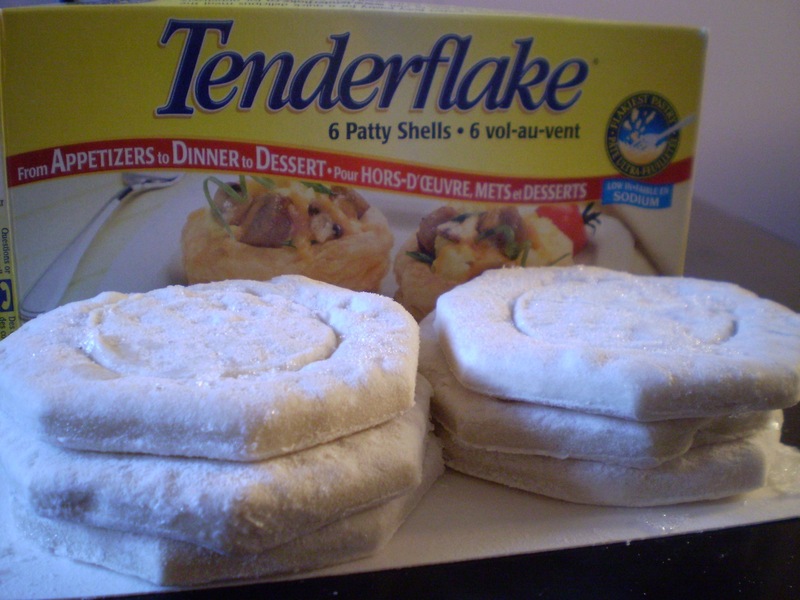 Thank you to Lillian for sharing her family recipe and photos! Apple wedges wrapped with prosciutto. 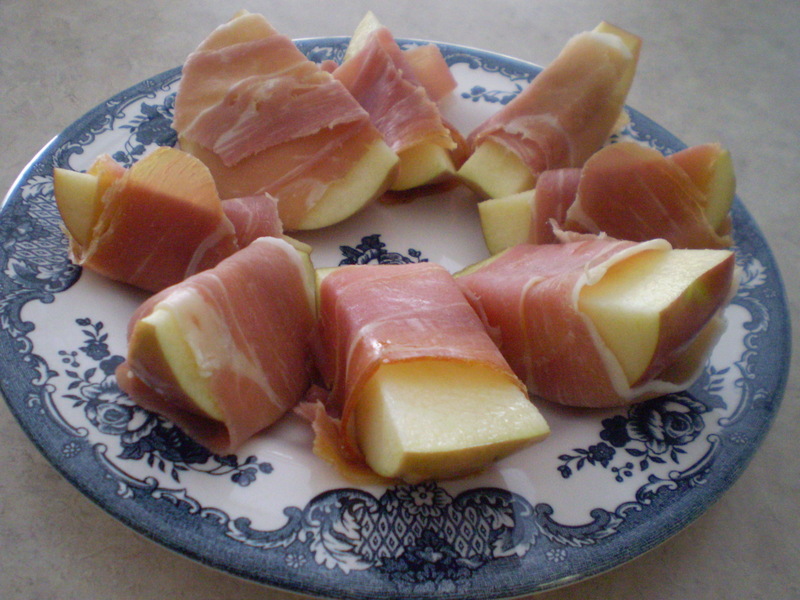 Prosciutto wrapped around apple wedges is a simple easy healthy snack. The salty and chewiness of the prosciutto slices is an ideal accompaniment to the crispy sweet apple. 1. Cut the prosciutto into strips such that they are long and wide enough to wrap once around each apple wedge. 2. Wrap prosciutto strips around each apple wedge. 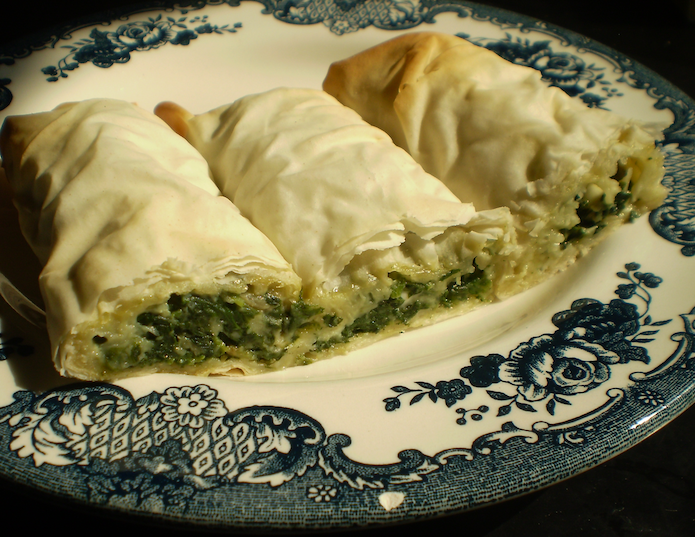 Spinach and feta filled phyllo pastries (spanakopita). 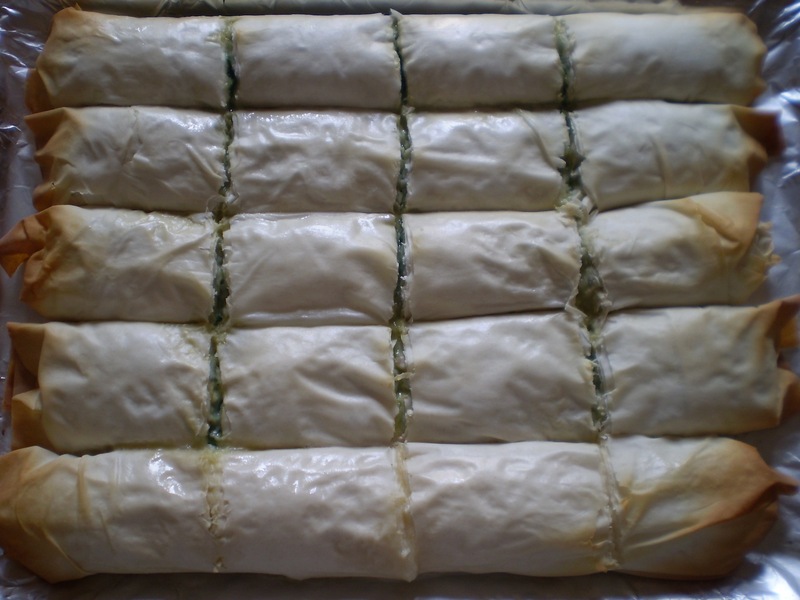 Spanakopita are savoury spinach filled phyllo pastries and originates from Greek cuisine. 1. 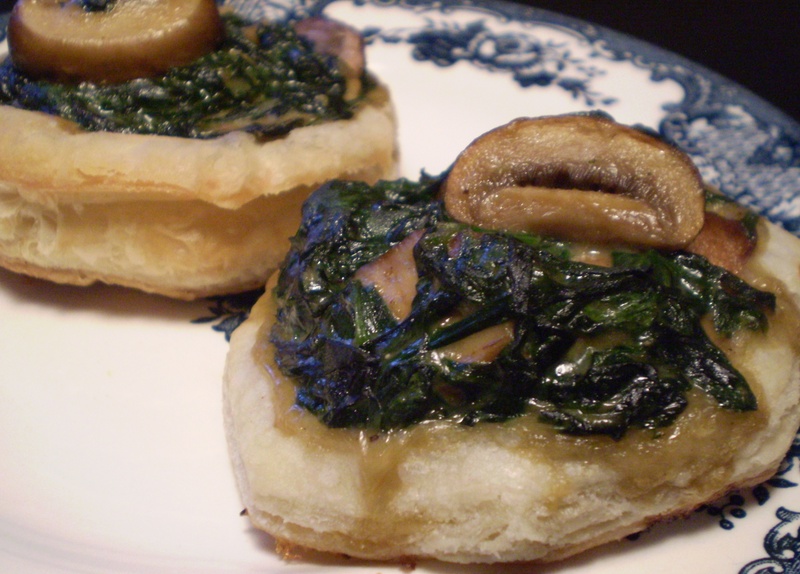 To make the spinach filling, heat a saute pan on high heat. 2. Once the pan is hot, add in 1 tbsp of oil and the garlic. Cook until the garlic is a golden brown. This will only take a few seconds. 3. Add in the spinach. Turn down to medium heat. Stir occasionally. 4. Once the spinach has wilted, season with salt and pepper. 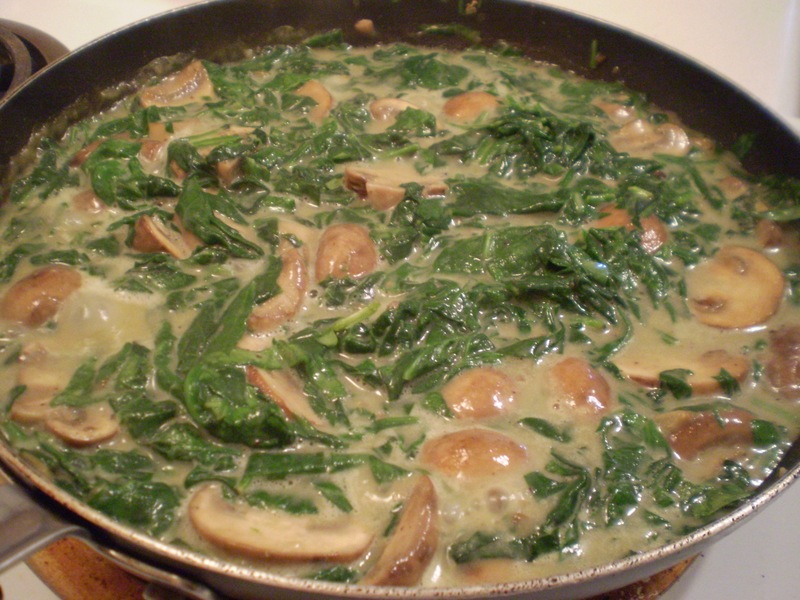 Remove from heat and let the spinach cool for a minutes, then drain any liquids that has collected in the pan. 5. 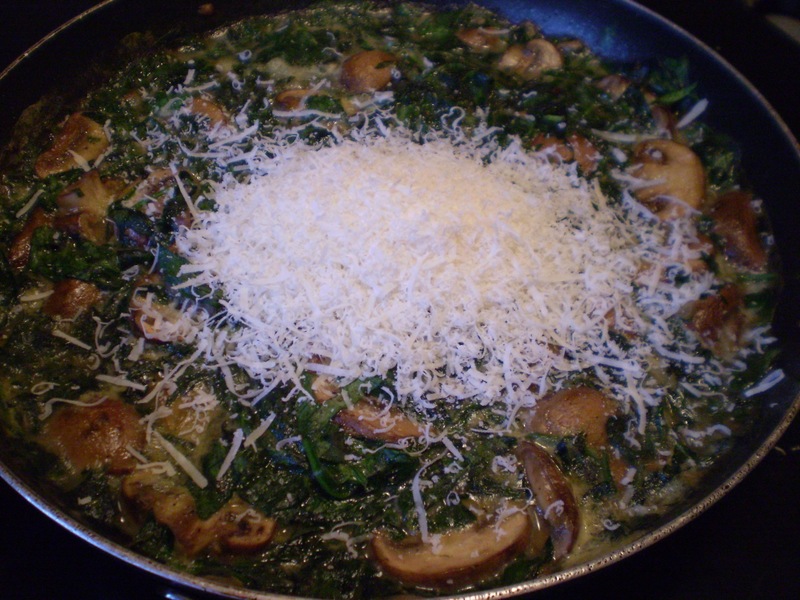 In a large mixing bowl, add in the spinach, egg, bread crumbs and feta. Mix well. 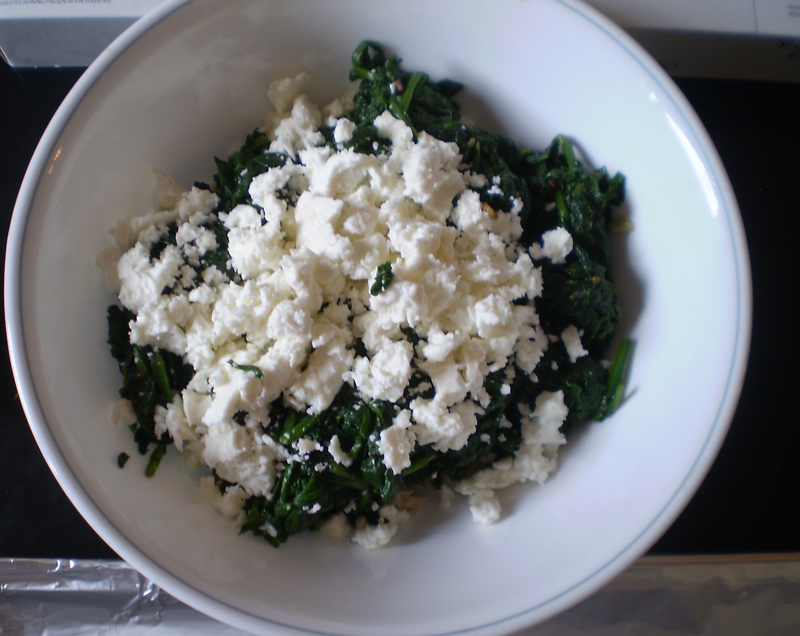 Cooked baby spinach and feta. 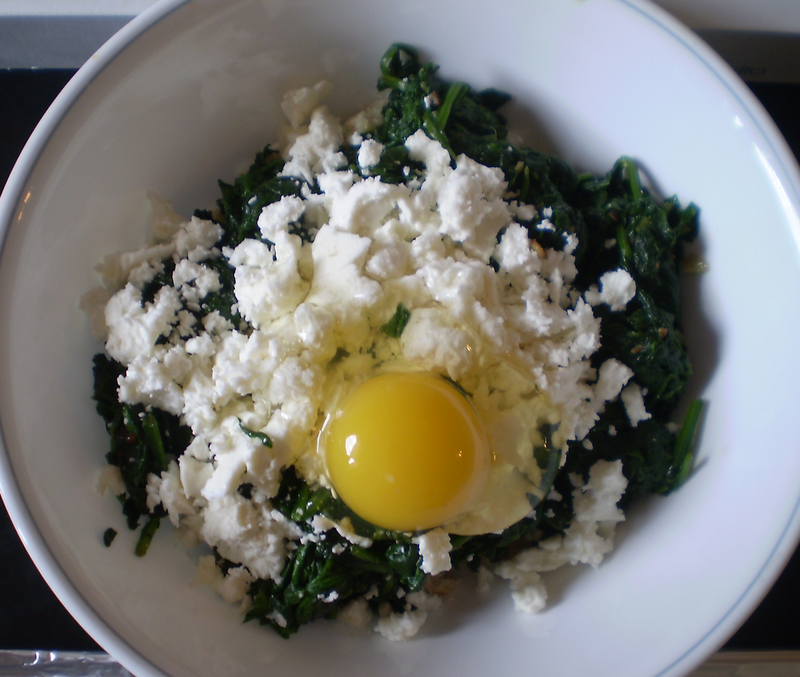 Spinach with feta and one egg. 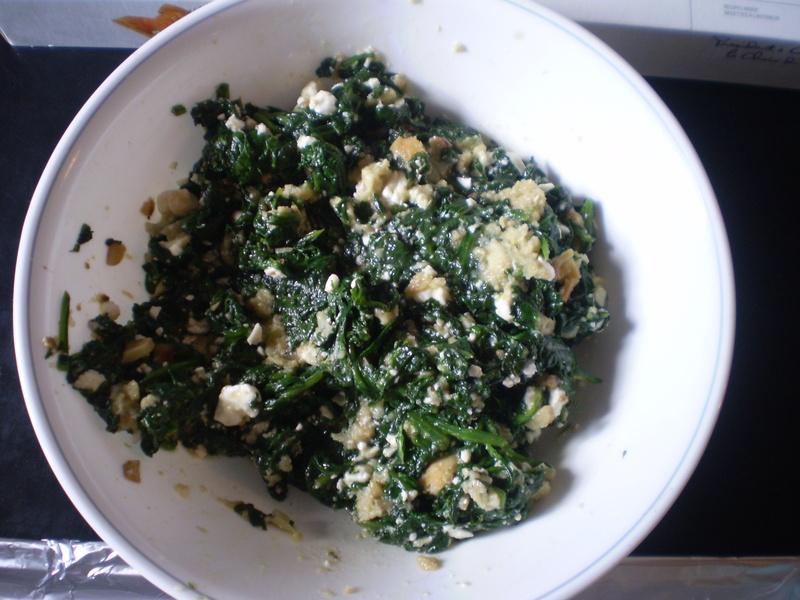 Filling consisting of spinach, feta, bread crumbs and egg. 6. 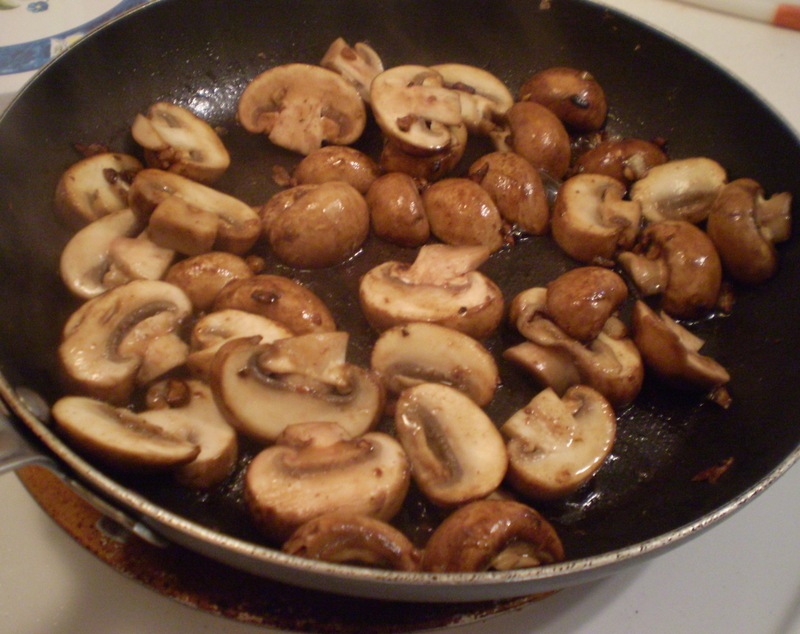 On a lined baking sheet, oil the bottom and sides. 7. Place two sheets of phyllo on the baking sheet. 8. 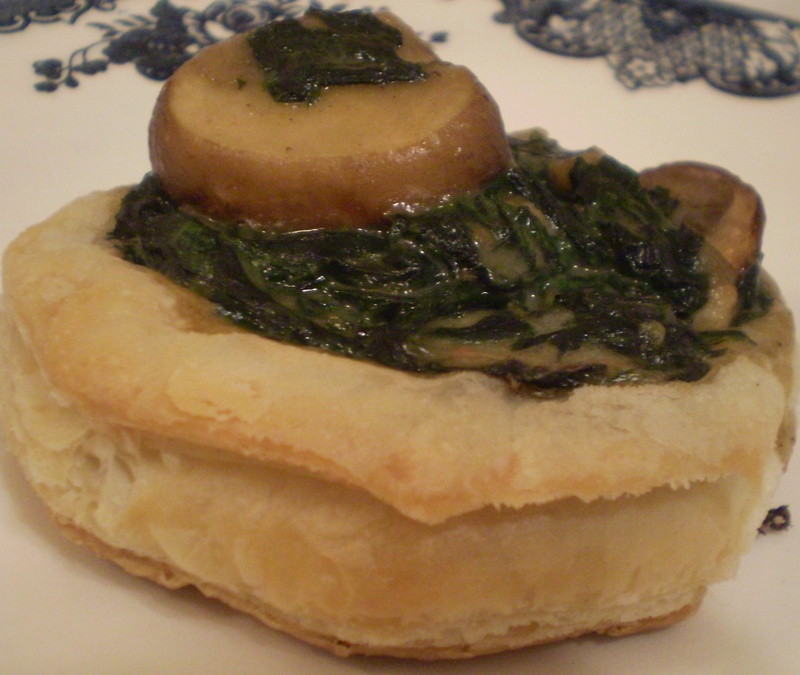 About one inch from the edge, add a row of spinach filling. 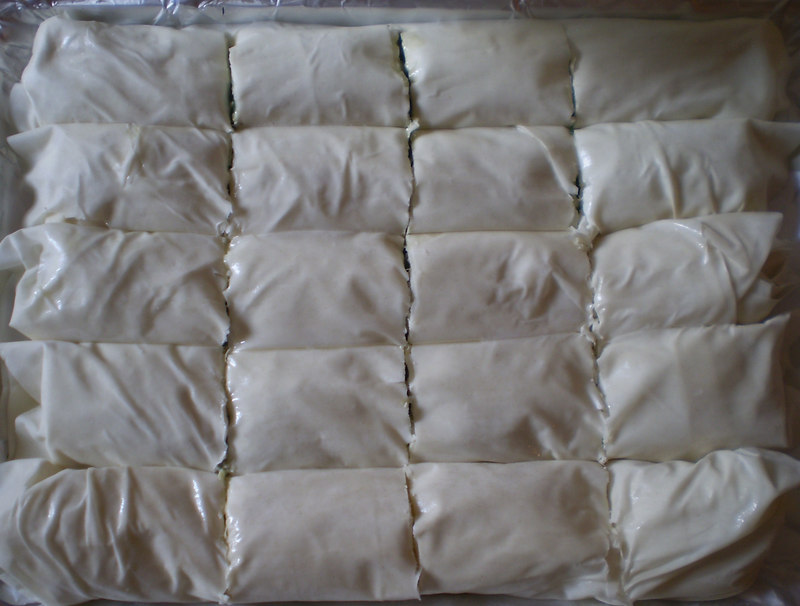 Two phyllo sheets with a row of spinach filling, awaiting rolling. 9. Roll the phyllo tightly and tuck in the ends. 10. Repeat four more times. 11. Brush a little oil on top of each phyllo roll. 12. 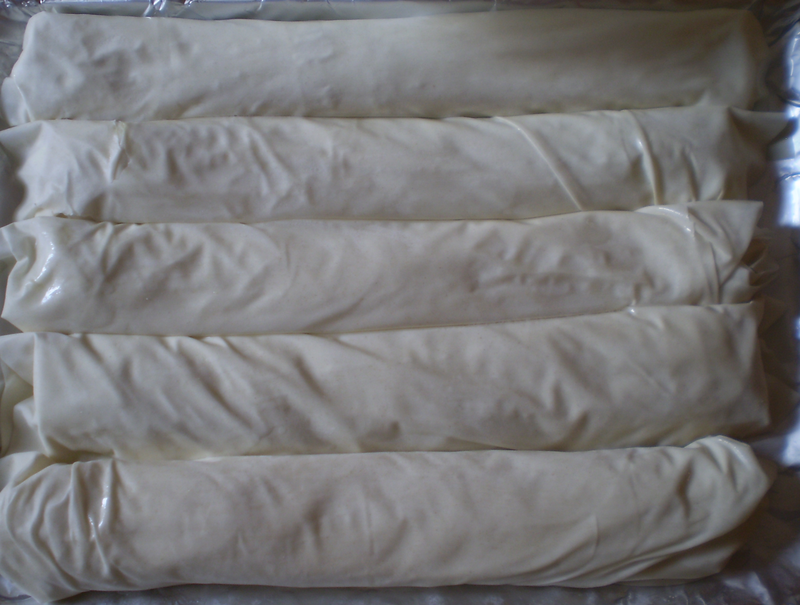 Before baking, cut the phyllo into desired sizes. 13. Bake in a preheated oven at 325ºC for 15 to 20 minutes or until golden brown. 14. 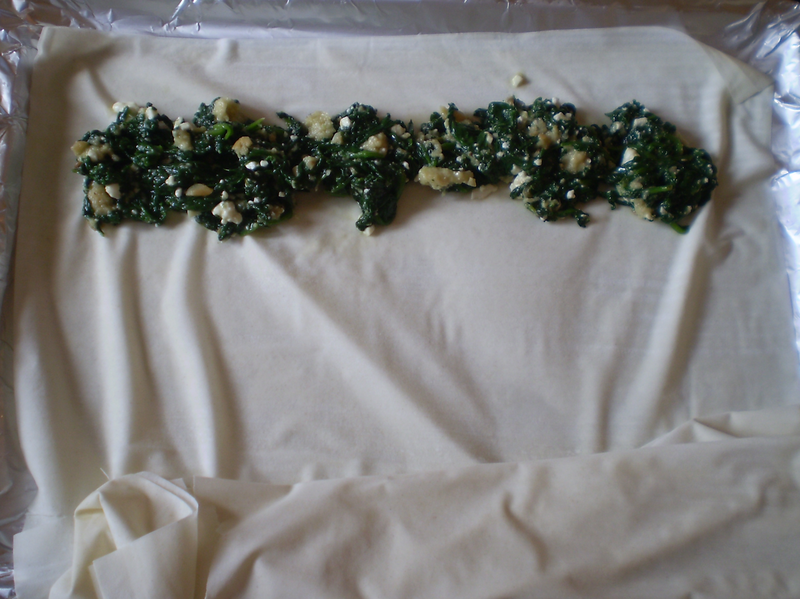 Let spanakopita cool for a few minutes before serving. *The last phyllo row is filled with a ricotta and feta mixture as I ran out of spinach.